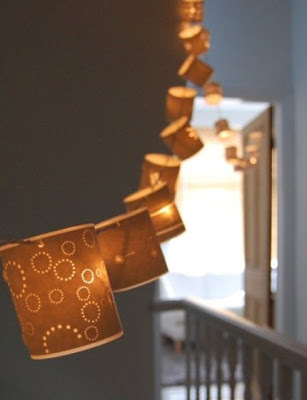 ...and have a leisurely look around her warmly lit shop, Radiance, where she displays her line of beautiful paper cut lamps and shades. Raised as a city girl, Hannah studied at Carmarthen College in West Wales where she fell in love with the local countryside. 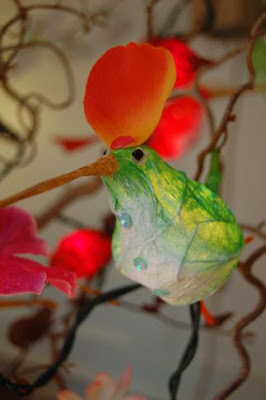 As a result, the botanical world has inspired many of her designs... first via a line of paper cut greeting cards sold in places like Harrods and Paperchase, and later, the lights she makes today. 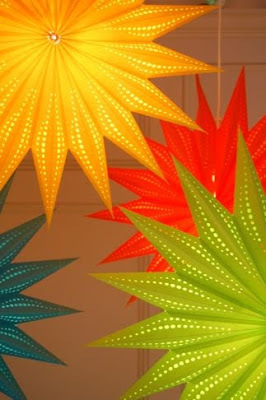 Just five years ago, Hannah opened the Radiance boutique and workspace where she makes and features her lamps, as well as eye-catching lights and other items handmade by more than thirty designers, many of whom work with paper. 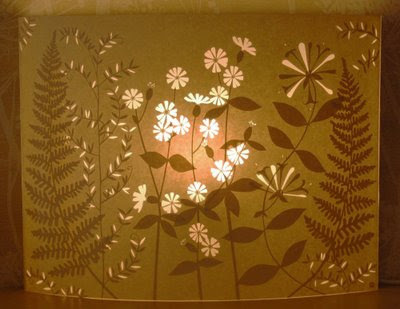 Hannah sometimes uses laser cutting technology in addition to her original hand cut method to make the most delicate designs, as well as ease her fingers. Recently she has been designing wall panels... they're still in the experimental stage, but this will give you a taste of what's to come... dazzling! 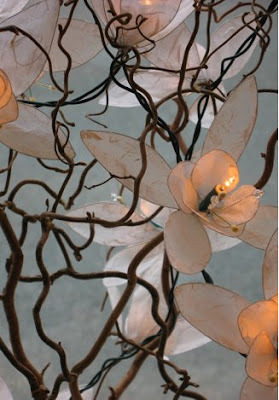 Hannah's lamps can be found in many U.K. craft shops and Etsy, and all of Radiance's stock is available online. I enjoy Hannah's blog because her enthusiasm is contagious - she's always brimming with new ideas. Great feature! I adore Hannah's work, and the shop looks so perfect-- serene, clean, and inviting! This made my day! Ooh, her work is stunning!! 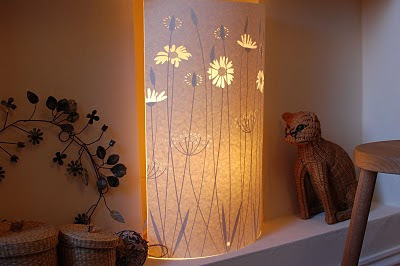 Love the warmth she creates (my favorite is the 'allium' lamp) with the light shining through the tan paper. Such intricate cuts! Everything is so beautiful - and cozy because of the soft lighting. Thanks for advising us to click on the shop photo - incredible! Oh my gosh these are so pretty! 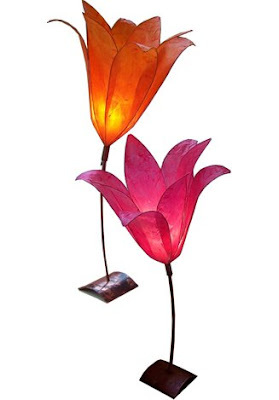 I can only imagine the wonderful atmosphere these lovey lights would bring to a room. Thank you so much for sharing these with us! MPRAVO ITS FANTASTIC IDEA ! !